Check out this odd fruit. 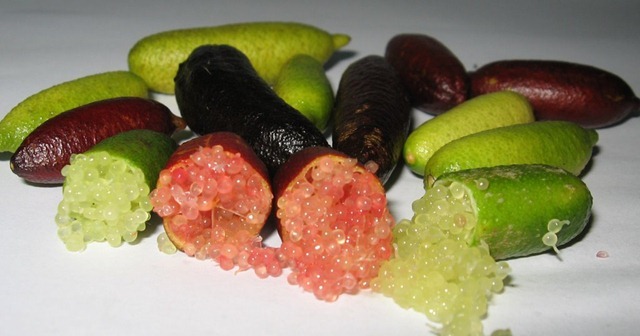 it’s called a Finger Lime. It’s a citrus fruit and it is filled with little balls of juice, kind of like a Pomegranate, The juice is supposed to taste strong and like lemon-lime. They come from Australia, grow to 3-4 inches long and 1-2 inches wide. They come in different colors Sometimes they are called “fruit caviar”m or “citrus pop rocks” How cool is that? I have only seen them online, but one of these days I am going to try one. 3 comments to Finger Lime anyone? Those are so friggen cool looking! like real fruit gushers!